This chat occurred Feb 3/4 2013 and is now archived here. Caroline Bowen PhD CPSP, whose Speech-Language Therapy dot com website is well known to #SLPeeps worldwide, also runs the eight thousand strong discussion group called phonologicaltherapy. The emphasis in both of these online resources is EBP in children’s speech sound disorders: articulation disorders, phonological disorders, and childhood apraxia of speech. A relative newcomer to Twitter, Caroline signed on as @speech_woman (met Speechwoman yet?) in February 2012 when she was writing about Life Online for her Webwords column in @SpeechPathAust‘s Journal of Clinical Practice in Speech-Language Pathology. One year on, she bravely steps up to the plate to take part in our first #SLPchat for 2013, “phonologicaltherapy meets Twitter”. Question 1: What are your top 5 resources for child speech assessment and intervention? What inspires your intervention sessions? Share the ‘must have’ and ‘must read’ SSD materials, equipment, sources and resources that you use or refer to all the time. These might include particular journal articles, books, manuals, games and activities, reinforcers and rewards, professional listservs, discussion groups and other social media, websites and more. Question 2: Articulation Disorders: How do you assess articulation disorders, and which treatment approach, or approaches do you use? What is your assessment tool of choice? Do you implement traditional articulation therapy, a variation of it, or some other approach? Question 3: Phonological Disorder: How do you assess phonological disorder, and which treatment approach, or approaches do you use? What is your assessment tool of choice? In intervention, do you use any, some or all of the following, Core Vocabulary Therapy, Cycles Therapy (Patterns Intervention), Imagery Therapy, Metaphon, Minimal Pair Therapies, Parents and Children Together (PACT), or Phoneme Awareness Therapy or some other approach? Are you an eclectic practitioner who uses a mix-n-match approach – do tell! Question 4: Target Selection: In the process of Target Selection for Phonological Intervention which of the available approaches do you employ? How do you decide what to work on first…second…third…? Are you a fan of traditional or newer selection criteria, do you combine them, and have you implemented a complexity approach to choosing therapy targets? How was it for you? Explore the links above as preparation for this chat. Take the time to discover leads to interesting and useful journal articles. Bowen C. (2012). Webwords 44: Life online. 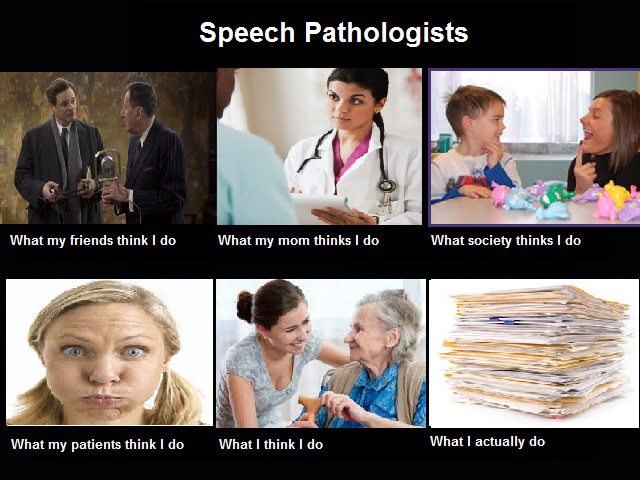 Journal of Clinical Practice in Speech-Language Pathology, 14(3), 149-152. This chat is completed. You can read the archive of tweets for both chats by going here for the chat at 7 pm on Sept 9 (EDT) and clicking here for the chat at 8 pm on Sept 10 (AEST). This chat on AAC in practice will be filled with ideas, tips and strategies for applying AAC to communicate in many settings. We all know that it takes a lot more than the tools, to get AAC in use in day-to-day situations. So what do people find helps to actually translate the strategies, techniques, and tools that have been recommended, into daily life? Let’s focus on children who are trying to move their language skills into interactions with other children. Let’s think about actual strategies during everyday and even uncommon activities and ways of using AAC in those activities, that will help children to get enjoy communicating with others. Perhaps more than any other field in speech pathology, AAC demands not only a person-centred and family-centred, but a multi or cross-disciplinary, collaborative approach, and one that includes people with the communication disability and their families. To add to this, AAC is ‘multi-modal’ (low tech, high tech, and no-tech) with a myriad of strategies, approaches, tools, and techniques that might be employed (a) in sequence, (b) concurrently, or (c) in isolation. Sometimes, it is the tools and techniques in combination that is helpful, and other times, just one action will make a big difference. Focusing on the tools first, and the person second, leads to a lot of false starts in finding the correct combinations of strategies, techniques, approaches and tools – since all of these things influence the other. It’s not always easy to balance doing something ‘quick’ and ‘easy’ with doing something that takes more resources – and relies on a full assessment, detailed information from a range of professionals, and waiting for funding and funding applications to come through that might provide something more tailored and complex. We need to do both – we can do quick helpful things, and we can advocate that children and adults who need it have access to a full assessment for communication supports. We would not accept any less than this if it related to mobility options, such as wheelchairs, for which we expect having a proper assessment , fitting, and alignment with the person’s body and mobility needs as to make their mobility comfortable, safe, and effective. how much ‘expertise’ you think you have. This is not about finding flaws in various AAC systems – it is about tips and strategies for overcoming limitations and removing barriers to successful use. Question 1: What is ‘Quick and Easy’ to do in AAC practice? tell us your ideas for using AAC that are relatively simple, that might not rely on a full assessment before you get started : these might be general tips, do no harm measures, principles of good multimodal communication, use of picture supports for understanding, promoting emergent literacy – anything at all! Question 2: Let’s talk about ‘Full AAC Assessment’. What do you usually find are included in a full assessment? What should be? What is sometimes left out? Are there any ways to improve this process? Question 3: What more complicated AAC systems are you using in practice? This could be high or low tech options. Share your tips and strategies for ensuring that children with higher needs are not ‘left behind’ just because the environment does not yet support a ‘top of the range’ AAC system. What helps you to overcome the limitations of all of the devices that you are using in your practice? Question 4: What types of devices are you using in your practice? Here we will discuss high tech vs low tech, specific devices, the use of communication books with the PCS symbols and so on. What are the limitations of these devices? The two chats will occur at 7 pm EDT (New York/Toronto) on Sunday, September 9th, and 8 pm AEST (Sydney) on Monday, September 10th. If you need to know what time that is where you are, you can use everytimezone.com to help. EBP and the SLP: What informs our practice? **** click here for the chirpstory of this chat. professionals are now very well acquainted: “Evidence-Based Practice (EBP). ASHA proposes a three pronged model of EBP that includes current best practice (published research and position statements by regulatory bodies and professional associations), clinical experience, and patient/client values. None of these three prongs is sufficient on its own, and all three prongs are important contributors to EBP in a clinical setting. monitor and incorporate new and high quality research evidence having implications for clinical practice. Does this sound like what you are doing in your practice? Tell us more! Is any one prong of EBP more important than the others? Is any one prong used more than the others? Is any one prong stressed more than the others? How big and what kind of role do you think patient/client values play ins EBP? Is there a time when you’ve considered it more carefully than other times? Why? What influences your choice of intervention technique? Do you thoroughly research new therapy techniques? 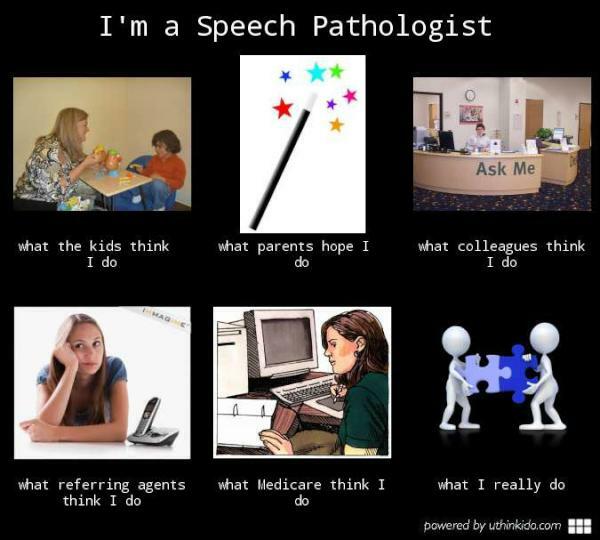 How applicable are these guidelines to speech pathologists working in the field? How can we attempt to incorporate EBP into our practice when there isn’t formal research on a given therapy technique? We look forward to hearing your views and experiences. See you there! *** click here for a chirpstory of this chat. After a few months of vacation and hiatus, we are beginning our 2nd year of #slpchats! 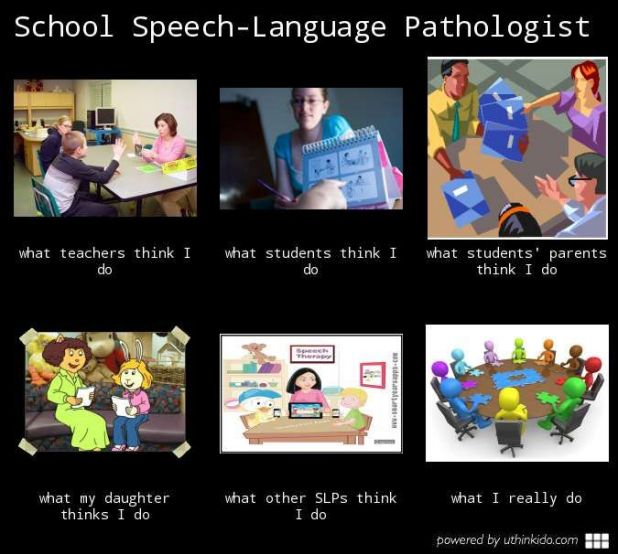 And what better topic than literacy and the role of SLP/SLTs, especially as many are about to begin a new school year. SLPs are becoming increasingly involved in literacy assessment and intervention. There was a time when reading skills were left only to the daycare and classroom teachers but we find ourselves in a position to provide more support in reading and writing intervention than ever before. Print Concepts: Learning how to hold a book, which way to turn the pages or track print, that meaning is derived from print and not the pictures, and literacy-specific vocabulary (e.g. cover, author, pages, title, etc) are generally considered a part of emergent literacy skills. Alphabet Concepts: Learning the letter names, the sounds letters make including diagraphs (e.g. ‘sh’, ‘ch’, ‘th’), as well as upper and lower case symbols for each letter are aspects of alphabet concepts and are required before a person can read or write words. Phonological Awareness: Understanding how sounds create words and how words are separate from each other as well as the ability to manipulate these sounds with and without visuals are important to later decoding and spelling skills. Language skills: Understanding the meaning of words (i.e. semantics) and the grammatical organization of language (i.e. syntax) is crucial to listening and reading comprehension. Decoding is of no use to anyone if they cannot make sense of what they are reading. Oral language has generally been accepted as foundational to reading and writing success. It is also important to understand social interactions and uses of language to understand interactions and thought processes of characters in books. Narrative Development: Being able to understand and produce narrative stories is important to reading and writing success, especially as people develop their literacy skills and apply them to academic situations. (Kaderavek & Sulzby, 2000). This also applies to understanding and use of story grammar and structure. Research has supported that children with speech sound disorders have difficulty with later reading skills, and even more difficulty if they also have specific language impairment (Boada, Pennington, Peterson & Shriberg, 2009). It becomes clear that a speech-language pathologist could potentially have a tremendous role to play in literacy intervention and prevention of future reading and writing difficulty. However, this continues to be ‘tricky’ sometimes given multiple people who have a role in literacy. There is a need to work together with many other professionals in order to not duplicate services but utilize everyone’s various skills and develop roles in literacy assessment and intervention. The SLP role is often not clearly defined and is different everywhere, depending on the facility, SLP confidence, others working on literacy, caseload need, availability of resources, and so on. The ASHA website has an entire section devoted to literacy, called the Literacy Gateway. It contains links to articles, position statements, and other information on literacy available to SLPs. We encourage you to browse this site. Also, CASLPA has a great section on “The 3 Ls: Language, Literacy, and Learning” in their most recent issue of Communiqué. We also encourage you to read those articles to learn more about what SLPs are doing to improve literacy skills. Beyond children, literacy skills are also important for adults when reading labels on medications, following health care instructions, signing consent documents, driving, and other everyday living situations with friends and family. In a rehabilitative situation, SLPs can also provide support and intervention to adults learning to read whether they have lost this skill due to a neurological incident, are ESL, or never had the skill in the first place. On August 14th at 2 pm Eastern Time (Toronto time) we will be discussing the role of SLPs with regard to literacy. We will be asking questions about the role various SLPs have taken to support the literacy skills of their clients, what assessment and therapy tools are being used, and how we feel our role may continue to change over time. We hope you will join us! Broada, R., Pennington, B., Peterson, R., & Shriberg, L. (2009). What influences literacy outcome in children with speech sound disorder? Journal of Speech, Language, and Hearing Research, 52(5), 1175. Kaderavek, J., & Sulzby, E. (2000). Narrative production by children with and without specific language impairment: oral narratives and emergent readings. Journal of Speech, Language, and Hearing Research, 43(1), 34. This week is National Stuttering Awareness Week and what better way for the #slpeeps to contribute, than to make it the topic of discussion for our upcoming #slpchat! Yes we are aware! Treatment options for the various age groups vary across countries. For preschoolers indirect therapy may be used to create a fluency enhancing environment, by teaching parents to slow their rate of speech, avoid interrupting, reframe responses, and modify questions to reduce demands on the child. Other therapists may use a behavioural approach such as the Lidcombe program , which uses verbal contingencies to praise “smooth speech” and to acknowledge or correct unambiguous stuttering. Self-Imposed Time Outs: where a person pauses after a moment of stuttering. Syllable-Timed Speech : involves speaking with minimal differentiation in linguistic stress across syllables and is achieved by saying each syllable in time to a rhythmic beat. Another speech restructuring program for adolescents and adults which I (Shareka) learned about and practiced in grad school was the Camperdown program out of Australia, which presents a new way of teaching prolonged speech. New Medical Technology has also introduced delayed auditory feedback, rate control and masking devices for stuttering treatment. The SLP role in counselling in fluency Disorders: Dealing with avoidance, anxiety and negative perspectives on stuttering. Don’t forget to follow @Slpchat this week for some useful links to pages and articles on stuttering treatment.